Roussillon villa rentals, Luberon, Provence, South of France. Provence Emotional Escapes specialises in the promotion of luxury villa rentals in Provence, South of France. 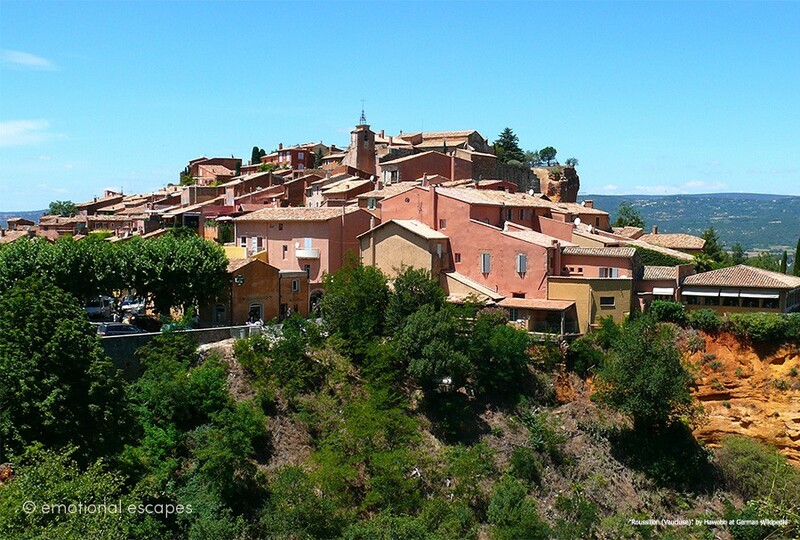 Villages including Roussillon, a hill top village famous for its ochre deposits. Roussillon is a commune in the Vaucluse department in the Provence-Alpes-Côte d'Azur region in southeastern France. 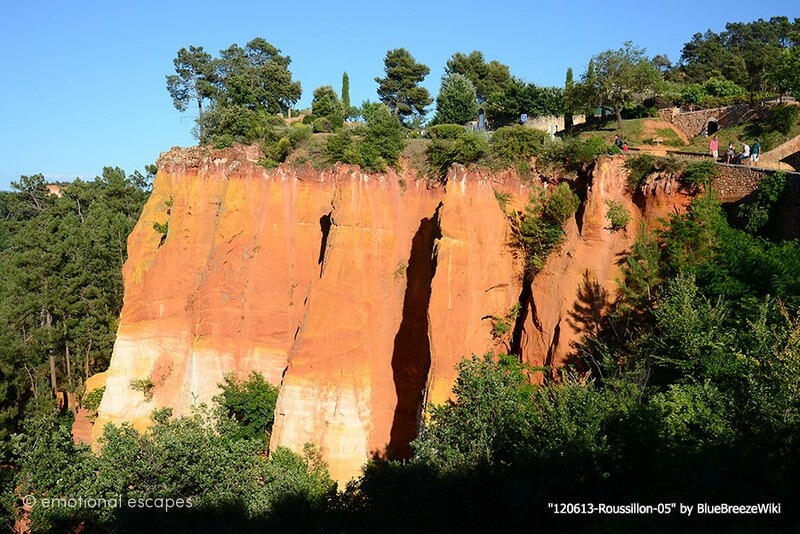 Situated in the heart of the biggest ochre deposit in Europe, Roussillon blazons forth its difference through an astonishing palette of flaming colours. The village stands on an ochre ridge, situated in a broad valley with the 'Monts du Vaucluse' to the north and the 'Petit' Luberon to the south. As you wander its narrow streets and stairways and gaze upon its facades, which are often quite plain and naturally beautiful, you will be admiring the result of age-old know-how. Roussillon is a commune in the Vaucluse department in the Provence-Alpes-Côte d'Azur region in southeastern France. Roussillon lies within the borders of the Parc Naturel Régional du Luberon. The village stands on an ochre ridge, situated in a broad valley with the 'Monts du Vaucluse' to the north and the 'Petit' Luberon to the south. a walk of either 30 or 60 minutes through the old workings. in order to protect the sites from degradation or even complete destruction. Because during the 18th century the demand rose for pigments to be used in the textile industry, the mining of ochres in Roussillon intensified. Numerous quarries and ochre factories, some of which can still be seen today, were situated near the village. One example of an ochre factory, the 'Usine Mathieu', is named for the family that owned it from 1870 to 1901. It has been formed into a 'Conservatoire': a workshop serving as a museum. The quarries and factories were established in the villages of Roussillon, Villars, Gargas, Rustrel (with its Colorado provençal) and Gignac. During the 20th century, mining techniques were modernised, which meant that more profitable ochre mines became exploitable. This resulted in a gradual closing-down of ochre mines in and around Roussillon. From the 1980s, tourism has replaced ochre industry as a source of income.